Another pumping day of waves yesterday on the Surf Coast with clean 3-5ft surf and favourable winds most of the day, large and best in protected spots to the east. A reinforcing SW swell for yesterday afternoon has held well into this morning to 3-4ft and 5-6ft respectively with light morning winds opening up plenty of fun options. A weak southerly change is trying to push through now but conditions are still good across most breaks as the swell slowly eases. What an excellent week of surf! We'll see a more pronounced downwards trend in size over the coming days as all the strong frontal activity linked to this week's pumping waves leaves the building. Cape Sorell is already on the downwards trend and we'll see the surf easing off later this afternoon and more so through tomorrow from mostly 2ft on the Surf Coast (possible odd sneaky 3ft'er early at magnets) and 4ft+ on the Mornington Peninsula. Conditions are looking less than ideal with onshore SE tending E/SE winds on the Surf Coast, though only light to moderate, while the Mornington Peninsula and Phillip Island should provide some better options with a lighter E/SE breeze. It'll be lumpy and not perfect. Sunday is looking cleaner with our offshore N/NE breeze back on the cards, though the swell smaller and fading from 2ft on the sets on the Surf Coast, 3ft to possibly 4ft on the Mornington Peninsula. Now, it'll be a fight between a developing sea breeze and weak SW change Sunday afternoon, so try and get in a surf before early afternoon. 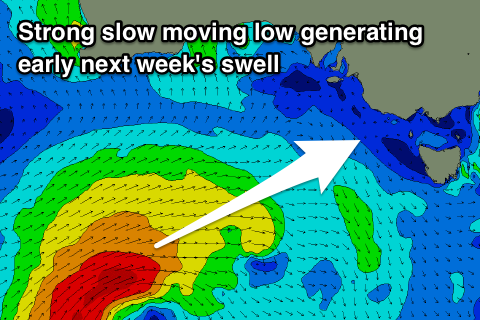 A low point in swell is expected Monday with a dawn N'ly, shifting W/NW ahead of a gusty SW change. The change will be linked to a slow moving low moving in from the west-southwest, and we've got an upgrade in the size and power expected off this swell due to it's slowed nature. The low has formed south-west of WA but is quite small and weak, but we should see it stall, strengthen and then start projecting a slow moving fetch of gale to possibly severe-gale W/SW winds through our south-western swell window. The low will project close to us Monday before slipping south and across Tassie into the evening. We should see a moderate to large SW groundswell filling in overnight Monday and peaking Tuesday to 4-5ft on the Surf Coast and 6-8ft on the Mornington Peninsula, but with average S/SW tending S winds in the wake of the storm pushing across Tassie Monday evening. There's the outside possibility of an early W/NW breeze on the Surf Coast but we'll have to review this on Monday. Wednesday may see more variable winds but this depends on how quickly another front moves in from the Southern Ocean. 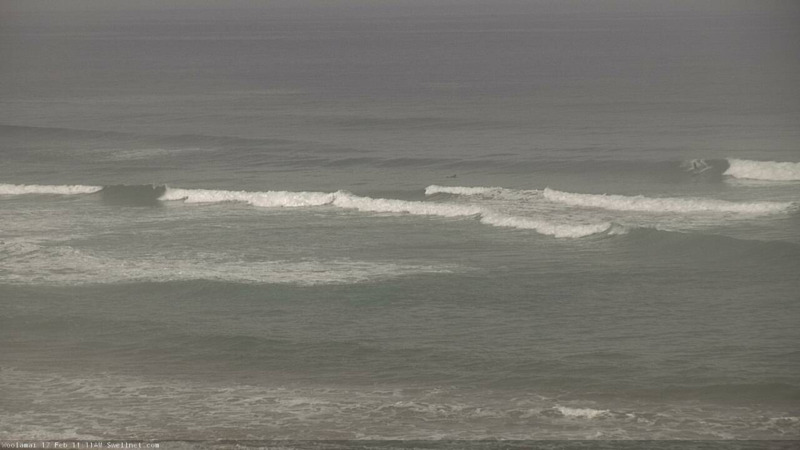 If its delayed we'll see lingering SE winds as the swell eases. In any case a new W/SW groundswell is due off this front late week, with it forming in our far swell window over the weekend before moving in under the country next week, but more on this Monday. Have a great weekend! Is the West Coast smothered in fog this morning? 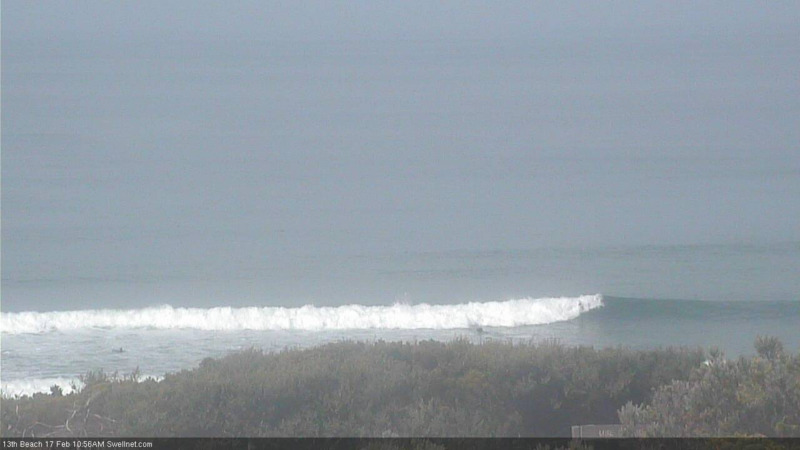 Still a few fun waves on the Bellarine. Looking nice at Woolamai too. Really fun on the Bellarine this morning Ben. Plenty of crew around but perfect conditions. First surf for me for a month or so. I was frothing! Sick to the east too. Thanks to the morn pen reporter talking it down haha!